1 (random) playmat for each player who participates. 12 pm registration, 12:30 seatings, January 16. 5 pm registration, 5:30 seatings, January 17. 16 players. Pre-order a booster box of Oath of the Gatewatch at full price ($139.99+tax), get a free ticket to ANY of our pre-releases. 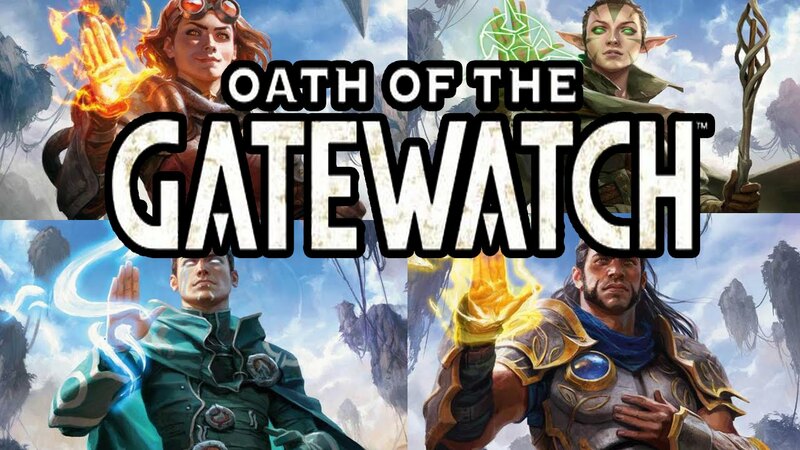 In addition, anyone who plays in our pre-releases and has a Just Games membership can reserve an Oath of the Gatewatch Fat Pack. Fat Packs will contain Full Art Basic lands, so they’re sure to be a hot item again. Play in a pre-release, lock in a Fact Pack! Please note you must ask to reserve a Fat Pack during the pre-release, and this option is only open to participants with a valid Just Games Membership.